You are here: Home / Animal Blog / Are you archaic or progressive? If you took a look at your life and patterns within it–would you say that you were archaic or progressive? It is important to be progressive when it comes to animal behavior training. When it comes to certain aspects of life it is good to be forward moving and open minded but in others perhaps a bit of conservative practices might work for you. In most areas of my life I think I am pretty progressive but I love vintage items a lot better than some of the newer models. You know my old hair dryer lasted over twenty years but my last two bit the dust before a year had gone by. However the new designs and attachments make styling easier and more fun. But hanging onto old or archaic beliefs or practices can be a detriment. When it was discovered that the world was round, those who thought it was flat fought accepting the news. Recently, what made me sit up and ponder this topic was a disrespectful and idiotic rant over something I consider pretty innocuous. In a zoological community online, someone asked that people send “good vibes” or “positive thoughts” to those who were working to help wildlife impacted by the recent floods and the disastrous oil spill. First, I hope the person who felt the need to attack someone else in the forum goes out and gets a life–because obviously they don’t have one. What if that person said, send “prayers” to those instead? Either way, no matter what was said, there was no reason to get stupid over it. I don’t think the request would have hurt anyone. In fact, it might actually help. If that negative person took a minute to investigate, it would have been clear that alternative therapies, such as prayer or healing touch, are being used by the medical community and have been gaining steam since the late 1980s. Not just any facilities, big names such as Scripps Medical Center, which I don’t think of as an anomaly. It is called Integrative Medicine and in my field, I call it Integrative Therapy. 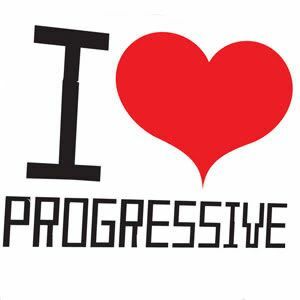 BTW I’ve been using progressive & integrative therapy for both behavior and training for some time…and getting a lot of crap for it. Back in the early 1990s I was part of a clinic that was far ahead of its time. We not only collected DNA for cloning, and collected and banked sperm for animals, but also had a holistic veterinarian, two animal communicators, a natural diet nutritionist, and me–the integrative behavior and training practitioner. But people are not very progressive when it comes to animal related management or training because it tends to be a conservative industry with the “if it isn’t broke don’t fix it” mentality. Yes, yes–it is changing but so very slowly. Back in the day (LOL), when I was suggesting training in zoos, it was not accepted but ridiculed. When I tried to get a few zoo staff members to consider alternative practices–I was attacked for being an animal trainer and told that animals needed to be kept in as natural state a possible. Huh? Since when has captivity been as natural a state a possible? Since I came from a background of training and handling of exotic and wild animals, we were more progressive animal training and management people that those in the zoological world. In fact, things in the zoo world were pretty archaic until the early to mid-1980s when two books catalyzed that change. 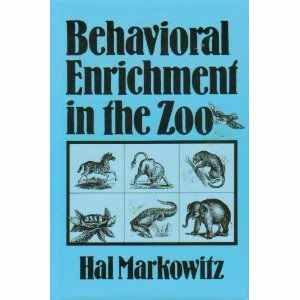 The first one, Behavioral Enrichment by Hal Markowitz rocked the captive management facilities on a lot of levels because keeping animals mentally stimulated and active is much better for the animal. So, even though I was hitting my head against the wall explaining how training kept animals mentally challenged and occupied (not to mention empowered with choices), it took a while to get that into the heads of the masses who worked with animals. 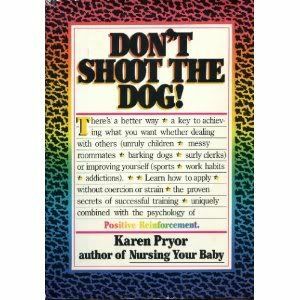 Next, Don’t Shoot the Dog by Karen Pryor was published in 1984. I spoke to Karen Pryor on the phone shortly after its release but it wasn’t until the mid-1990s that the dog training world “discovered” and adopted the book as a bible for the industry. My point is, that the world and our strategies of living and working with other beings on this planet is in constant change. Just because you don’t understand something or have not tried it yourself doesn’t mean that you should discount it. In my professional circle I have both animal communicators and academically trained behaviorists as well as applied behaviorists and trainers. Each one has something valuable to add, and unless they are integrative–they miss a lot of other options to help both their human and animal clients. There are problems with the “us and them” mentality because it creates defensiveness and exclusivity. There are problems in that there are things that one group or the other misses because their education is incomplete. Just because you have not studied it doesn’t mean it doesn’t exist or work. Just because you have not experienced it doesn’t mean it doesn’t exist or work. Just because something rocks your world, or makes you uncomfortable, it isn’t cause to lash out at someone else. If you are truly interested in helping animals and the people who work with them or own them–get over yourself and get some first hand knowledge about what it is that you question. Read, talk, and try something new–it might just create a whole new wave of change that benefits everyone. Okay, so now I want to know–are you archaic or progressive when it comes to animal behavior training? Leave your comments below.